11th Birthday Celebration – Day 6!!! Hello, Megan Hoeppner here! Birthdays and breakfast in bed go together like cake and candles, so I decided to create a special placemat/tray liner for my girls using the sweet Joy Parade collection by Kim Watson for Fancy Pants Designs. First, I trimmed a 12×12 piece of cardstock as shown below. Each piece is needed for this ensemble. Let's start with the 8.5 x 11 piece, which will act as the place mat. The key to this kind of project being fun is personalization. It's what makes crafting your own such fun. You can't go and buy personalized placemats (well, sometimes you can, but it's not like they're in every store). But you can add names to handmade ones. So I drew names and words on paper and cut them out. I cut pieces from the 6 x 6 paper pad into 2 x 6 strips. I then cut one strip of each pattern into smaller 1/2 x 2 strips. I used the bitty strips to frame one side of the 8.5 x 11 piece. I then dressed up the center area using watercolor paint. I then added my hand-drawn letters to spell Maggie, which is my older daughter's name. This is her side of the two-sided placemat. On the back side of the paper, I placed the larger 2 x 6 strips (and other misc. sizes) in a quilted fashion. Remember our 1/2 x 12 strip of white cardstock? Time for it. I painted "dear lulu" on it to personalize this side of my two-sided birthday mat with my younger daughter?s name. With both sides of the placemat decorated, I stitched around the edge to give it a more finished feel. Now, time to laminate! I want this to be a special birthday placemat we can use year after year. Laminating will help it hold up longer and give it a more placemat feel. On to the last of our three pieces of cardstock. Fold the 3.5 x 11 piece in half and you have the base of a birthday card. I stitched two pieces from the cute 6 x 6 pad to the front for a super quick birthday card that coordinates with my placemat. Just like that, you have a fun way to wake someone on their birthday with a little breakfast (or cookies!) in bed. At dinnertime, place the mat at the birthday girl's spot at the table for an extra fun meal. Happy 11, SCT! 11 has always been my favorite number. For one, it was my sweet grandma's birthday 9/11/1911. Also, it was hunky Dean Cain's football number when he played for the Buffalo Bills. Seems a super birthday number to me! No doubt it will be an awesome year. 😉 Happy birthday! "Hello from Scrapbook Adhesives by 3L! We're happy to wish Scrapbook & Cards Today a very happy birthday! We're thrilled to sponsor their celebrations with some fabulous adhesives so we can all stick around for many more years to come! Find lots of inspiration and ideas on our blog, and follow us on Facebook and Instagram too!" Happy 11th birthday to our friends at Scrapbook & Cards Today! 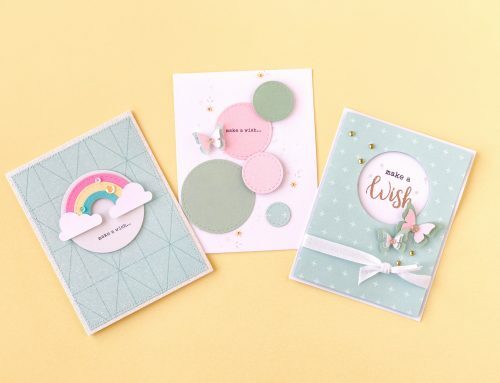 Fancy Pants Designs is pleased to offer our new Insta album and a selection of products from our Joy Parade collection which Megan also used in her projects above! Good luck! What a great Day 6! Thank you to Megan, Scrapbook Adhesives by 3L and Fancy Pants Designs! For an opportunity to win these prizes, be sure to leave a comment below by March 31st! All winners will be randomly selected and announced on April 3rd. As our sponsors have been so generous, we hope you'll take a moment to visit them on their Facebook pages today and give them a big "SCT thank you!" Just click the links below and let them know how much you appreciate their prize. Thank you for stopping by today! If you've just joined us for the first time, be sure to start at the beginning of this celebration HERE! I am loving today’s giveaways. I love Fancy Pants …they have such great collection year after year. I also love that you are sponsored by my favorite adhesive company….what could be better! Happy #11! Thank you for bring us all along on your amazing journey! Happy 11th to you! So love Fancy Pants beautiful papers and coordinating products. What a fun idea to make a placemat for the person celebrating their birthday. Wouldn’t that be a great idea for someone in a nursing home to brighten their day!! I go through lots of Scrapbook adhesive product, so would always welcome more! Thanks for the opportunity to win! What a clever project–bet the girls will love it! Thanks for a chance at the wonderful prizes today! What a cute way to use up leftover paper strips to make bright fun border and background on the card. Happy Birthday! Such a cute project today! Oh my goodness! What a fun project! My 4 y.o. Granddaughter’s birthday is in April and I know she would love a placemat with her name on it to help her celebrate. Thanks for the inspiration and the chance to win these awesome goodies! TFS! Happy Birthday Day 6! Thanks for sharing with us. Great project, lovely paper and fabulous adhesive. Thanks SCT and sponsors. Happy 11th Birthday! Love the idea of the placemat. So cute. Thank you for you. Happy 11th birthday you guys are great. Your videos, and posts are so very helpful and we all appreciate the time you give. Scrapbook Adhesives are the best, and this prize is awesome…one I would love to get my hands on. Do I ever need a tape runner! I’m still using liquid adhesive after 15 or more years. Love the Fancy Pants! What a super great prize–so happy and useful! Another day of great fun and giveaways!! Happy 11th birthday SCT. Love your magazine and blog!!! Happy 11th. Thanks to your sponsors for offering such great prizes. Happy Birthday SCT! Super prizes! Darling collection from Fancy Pants and, gosh, I could put the 3L Adhesives to work! So great that SCT shares their birthday fun with all of us!! This happens to be my favourite adhesive and I’m already working on my 2nd mini album with the Joy Parade line!! Two awesome giveaways from two amazing companies! Thanks! What a neat idea–makes a person feel special on their birthday. The Fancy Pants (smile whenever I see that name) Joy Parade papers are so cheerful. What a great idea. Will try it for sure. A big thank you to today’s sponsors. I need a lot of adhesive & love to get that Scrapbook adhesive by 3L. Lovely ve Fancy Pants Parker too. Wonderful prizes! I’d be so lucky to win. Super fun project today! Another great day of Birthday awesomeness! Great project. Love this idea. Thanks for sharing and inspiring us. Thanks to the sponsors and Happy Birthday. What great idea to make a birthday extra special! Happy 11th birthday Scrapbook & Cards Today! Thanks Fancy Pants and 3L Adhesives for the chance to win these amazing giveaways! ANother great Idea for my Scraps and one I will have to use and Gain HAppy 1th Birthday week! Love the sponsors as always! This is so cute. Im 49 and I would still love a placemat….lol. Cute ideas and great giveaway! Happy Birthday SCT. Congrats and wishes for many more. What a fun birthday project. Thanks again to the great companies sponsoring. YOu all rock!! Another beautiful project today!!! Love the Sponsors!!! Cute project. Happy 11th Birthday and thanks for the chance to win such amazing prizes. A fun birthday celebration idea. fabulous ideas, thanks for sharing. What a creative project! So fun and so personal. Beautiful papers from Fancy Pants and where would we be without adhesive. Thanks SCT! Another day of gorgwous inspiration and wonderful companies. Thanks for the chance at the giveaway! A perfect way to showcase these products! Yay Megan! Joy Parade artfully adhered using 3L Adhesive to make a beautiful placemat! Another awesome birthday giveaway by two great companies!! I just love birthdays!!! The placemat idea is a great one – you can use it year after year! And two great prizes once again! Thanks, SCT! Cool birthday projects! FAB giveaway too! Love the birthday placemat. Happy Birthday to SCT and thank you for such great birthday giveaways. Cute idea with the breakfast tray liner. Makes the birthday just that much more festive and special. Happy 11th Birthday. Love Fancy Pants and can always use adhesive. Can never have too much adhesive! Love the colors of the Joy Parade collection. Would love to win! Thanks for the chance! Another great day of prizes!! Such a great idea to have a two sided placemat! Happy Birthday SCT!! Keep the inspiration coming!! Love the bright cheerful colours in your project. Happy 11th!! Thanks for the chance to win another fun prize pack! I go through adhesive so fast. I would love this giveaway!! Great prizes! Thanks for the opportunity to win. Thank you to the companies for supporting SCT’s 11th birthday! Congratulations on your celebration and look forward to this year’s ideas and inspiration in your magazine and website! Happy 11 Birthday! Prizes are great! Hope I’m one of the lucky winners. Thanks to you SCT and all the great companies that love you to celebrate your birthday. Congratulations on 11 years. Happy Birthday!!! Thanks for giving us a chance to win some great prizes. Happy 11th Birthday! Thank you to today’s sponsors. So cute! Great idea with the placemat! fun ideas and great giveaways! Thanks!! Thank you for another wonderful day of inspiration and celebration! The placemat idea is so fun! We have a tradition of using a birthday plate that my kids made which includes 4 candles – one for each member of our family. No birthday is complete without it. I will be making a matching placement! Happy, happy birthday! Great giveaways. Thanks so much. You are the best. The placemat is a great idea! Fun and easy for little people to create and keep. Thanks once again for the inspiration and Congrats on your 11th Anniversary! Another great day of ideas and prizes! Thank you! Great birthday idea and another great day of prizes. Thanks. MMMmmmm birthday breakfast cookies 🙂 What a cute tray to wake up a special someone! Thanks to Megan, Scrapbook Adhesives by 3L, and Fancy Pants! Great ideas and products for crafty fun! We appreciate all the inspiration, SCT! such a cute idea for the scrappy borders! Cute idea! What wonderful giveaways! Thanks SCT!! Loving all these prizes! Such fantastic sponsors. Thanks for the inspiration, these are adorable. My twins were born March 11, so I also love that number! thanks to the sponsors for more awesome giveaways! What a wonderful celebration from some great companies! Love the idea of a special birthday placemat! What a great collection from Fancy Pants! Who doesn’t need adhesive? Makes me want to throw a birthday party for an eleven year old. Fun! happy Birthday, love the tutorial on the Alpha’s,very cool idea!? 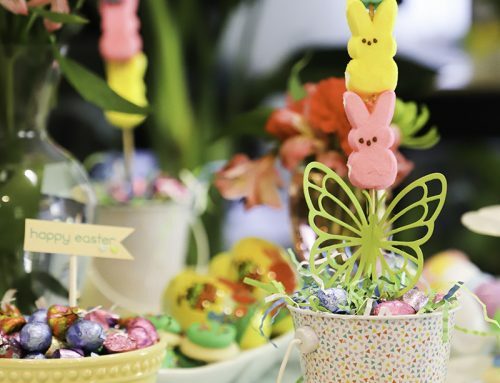 What adorable birthday party ideas! Thanks for sharing! Love today’s loot bag! One can never have enough adhesive! Love this Fancy Pants collection! So cheery! Wonderful celebration and giveaways! Thank you. Happy birthday and great related products! Great prizes and cute placemat idea!! What a great idea for scraps. I can never throw them away! Super cute placemats, a fun way to make the birthday person feel special! Oooh! Love the prizes today! Great ideas and great party ? Fabulous birthday inspiration and giveaways…Happy 11th!!! Adorable projects Megan! Thanks for sponsoring 3L (I love my Grand Runner!) and Fancy Pants! Happy Birthday SCT! Awesome giveaway today!! More fantastic prizes from two of my favorites! Thanks again! Happy Birthday with many more wonderful years to come. Thank you for all the amazing chances at great giveaways. ? Fantastic prizes. Thanks for the chance to win. Happy birthday and here’s to many more! Brilliant ideas, thanks for sharing! Happy 11th birthday SCT!!!! Awesome giveaways!!!! What a neat project for kids’ birthdays!!! And what awesome gifts for your readers. Happy birthday, SCT! FABULOUS project and tutorial … feeling INSPIRED! Great ideal. Love the give aways. You can never have enough adhesives . Great paper package nice soft colours. Happy 11th Birthday SCT. Cute card and love Scrapbook Adhesives-great brand. Such a cute idea to make birthdays special! Great prizes today! great ideas and inspiration and great prizes, what’s not to love. Thanks and Happy Birthday SCT!!! Happy 11th Birthday. What a great prize package. Thanks for the chance. Who doesn’t need more adhesives?! Thanks for this amazing giveaway. Awesome projects! LOVE that placemat!!! Adorable projects!!! Another another great day of exciting giveaways!! Thanks ? Absolutely love the creativity. Thank you for inspiring me. More fun projects and ideas! THANKS! That paper pack is so on point with this celebration! I’m totally enjoying all the inspiration each day. Two favourite companies today Fancy Pants and Scrapbook Adhesives by 3L. What a clever idea for the placemats. The one pattern could use up all the zip strips! Thanks for the chance to win. I like these adhesives but have a hard time finding them. Thanks for the opportunity to win some. Wow adhesives – who couldn’t use more of those ? Happy Birthday! I love the ideas you are giving each day–sparking lots of creativity! Thank you and Happy Birthday. You can never have too much adhesive. SCT…happy 11th!! What a great idea, adhesives and how many of us are in the middle of a creation only to run out of adhesives????? Wow! How generous of these two companies to give away such prizes! Oh, the stitching on this one is so cute! Thanks for the ideas and the giveaways! Omg! What a cute project! Another great idea! You guys are awesome! Lovely giveaways again today. thanks Scrapbook Adhesives by 3L and Fancy Pants Designs!. Great day today – I love that Fancy Pants collection! Happy Birthday Season! I could make good use of the 3L Adhesive! Ooh, I love the idea of making a personalized place mat for a special occasion. Thanks for the many giveaways from so many awesome companies. Congratulations! Thank you for the opportunity! That is such an adorable placemat and card set for the birthday girl’s celebrations. I love that you start it early in the morning and it goes all day. And with the laminated mat she can enjoy both sides. The hand cut letters are so sweet. Happy 11th! Thanks for the chance to win!! Super cute & fun! Awesome job! Lovely giveaways to celebrate! thanks!! Great giveaway! Thanks a lot and happy 11th birthday! What a sweet idea for a special birthday placemat, and that collection is perfect for it, so bright and fun! Wonderful crafts. Thank you for a chance to win great prizes. Another day filled with great prizes! Thank you and Happy 11th birthday SCT! Super prizes from some amazing companies. As an adhesive junkie I am definitely keeping my fingers crossed on this one! Wow! This looks amazing! I really love the new Fancy Pants collection! I love learning new ideas and techniques from this page. This combo of adhesives (you can never have enough!) and the Fancy Pants album is grand. My mum and I took classes with Jodi from Fancy Pants, at Crop & Create Toronto, and she was fantastic. Happy 6th day of you birthday celebration! Great prizes keep on coming! Thanks! Happy Birthday!!! Love the placemat idea! Wish my kids were still little!!!! Don’t make anything without some 3L on it!!! Thanks for the chance to win some scrappy goodness!!!!! What a great idea! Great giveaway! Great give aways! Not only fun and trendy; but with the adhesives-always used. Great prizes. Thank you. Thank you for sharing. 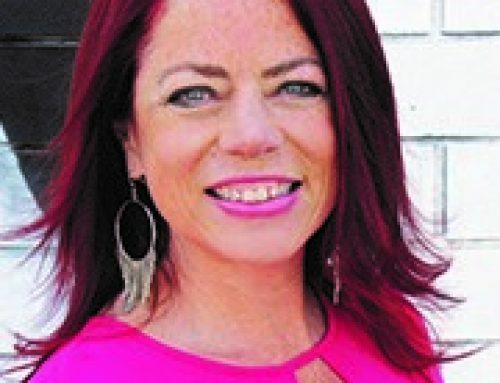 Bravo Megan! Can’t wait to do this project with my granddaughters. They’ll love it. 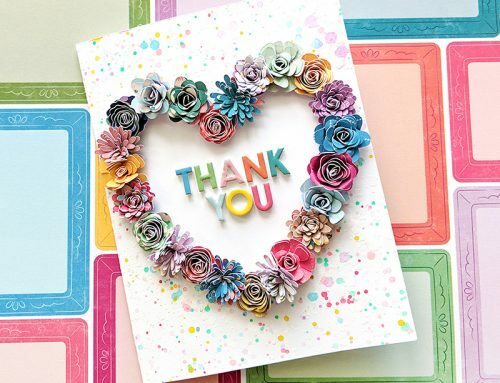 AND thank you Scrapbook Adhesives by 3L and Fancy Pants for sharing some of your wonderful products with us. The laminated birthday placemats are a lovely idea! And the prizes today are lovely too – thanks to SCT and your sponsors for giving us a chance to win! Happy Birthday! Thanks for the chance to win some goodies from two fantastic companies! Cute idea! Happy Birthday SCT! What a neat idea–a birthday placemat! Thanks for the tutorial! What great prizes today, too! Who can’t use more adhesive, right? I love, love, LOVE Joy Parade collection! It’s perfect for all those birthday party layouts. Thanks for the chance to win, and happy 11th birthday!!! What a clever idea for a placemat. Love this. Thanks for another day of celebration, SCT with a fabulous prize package. Love it. Awesome and creative projects, thanks for the ideas! What a fun idea for a kids birthday!! Can use it long after the birthday!!! Fun placemat and card! And another awesome prize! Happy 11th! Great idea with the placemat! Your collection together with Scrapbook Adhesives by 3L. Thanks for being wonderful sponsors and Happy Birthday SCT. Nice spring light colours in the prize package. And I’m sure everyone could use some more adhesive. Can never seem to have enough. Thanks for the opportunity to win. Happy Birthday SCT!!! Thanks for sharing the fun with us! Love me some Fancy Pants and my favourite adhesive too!! I am in live with the colors of this collection. So inspiring! Thank you! Another great way to use Scraps! Love the design! So generous of Scrapbook Adhesives 3L and Fancy pants design to offer up these great prizes! Happy Birthday Scrapbook and Cards Today mag! Thank you for the opportunity to win! So many Birthday ideas here! Love Fancy pants! I never have enough adhesive and always run out in the middle of a project. Well this would certainly help me out!! THank you for all of the amazingly prizes and for celebrating your 11th birthday in such a wonderful way!!! Happy Birthday! You always give us such great inspiration. The giveaways are great too!. Such darling projects today and fabulous giveaways!! Happy Birthday! Fabulous giveaway today! Two great companies sharing two great prizes!!! Thanks so much!!! Love yh stitching addition around the edges!!! Love the placemat idea! And the prizes…so awesome. I could definitely use either one of these! 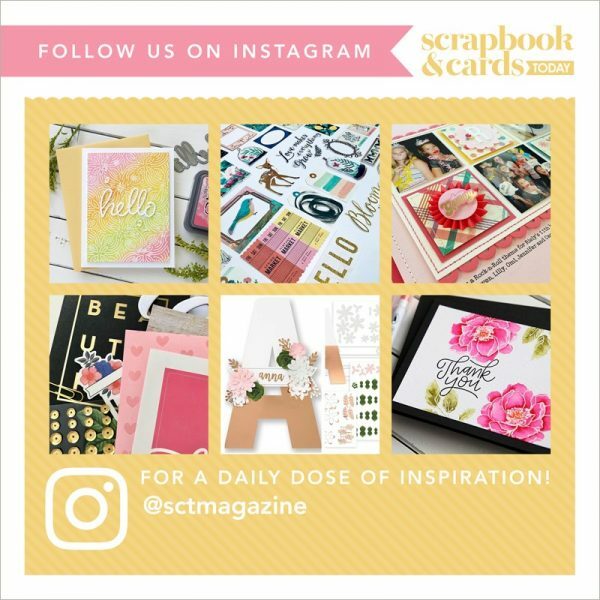 I love sct, i think its the best paper crafting mag around, but sooo much more than just aa magazine, id like to call it a holistic approach to paper and people!! Happy Birthday!! This Birthday place mat & card set are a super cute idea! Love the “2” sided usefulness & the tip to laminate – really clever & special for those important celebrations!! Such a sweet project and a great way to put the laminator to good use! Hello sponsors!!! Thanks for your generosity of prizes! I love the placemat and card! Great idea! Thanks for another great chance to win 🙂 love fancy pants !! I am constantly amazed at the ideas on this site. These placemats are amazing!! I must make them one day!! Wow another great day of birthday celebrations! Awesome idea to make a place mat! Happy 11th Birthday! Love the sponsors. Great technique on using all the paper instead of putting some in the ever-growing stash. Love that placemat. Really great idea! Great idea to make a placemat!! Thanks for sponsoring this birthday bash! Love the fun projects today! Thanks for another day of giveaways. Congratulations – how time flies! Thanks for the chance to win. Thanks for the chance to win your great prizes. Great idea with the tray liner, such a fun way to celebrate! Fancy Pants used to be one of my favourites, haven’t seen their new lines for a few years may have to check them out if I get to a real life scrapbook store. Happy birthday and wishing you many more! What fabulous generosity from all of the sponsors! Happy Birthday SCT! Such a fun idea. Love the Fancy Pants collection. Great ideas, Megan. Love the homemade personalized placemats. And what a wonderful range of prizes from your generous sponsors, Scrapbook Adhesives by 3L and Fancy Pants Designs! What a sweet idea! Two awesome giveaways too! Love the “Joy Parade” papers – what fun! Pretty papers in the give away. Great idea for using up scraps. Fun card! Love Joy Parade! Congrats and thanks for the chance to win! Fun projects. I use the EZ runners from Scrapbook Adhesives by 3L when I create my cards. Great sponsor prizes again! ??? Happy birthday – and thank you for the great ideas – and thank you to the sponsors for great prizes. Love this happy and colorful collection from Fancy Pants. And I can ALWAYS use adhesive. Thanks for the chance to win. Fun idea and great giveaway. What a great birthday idea. Thanks again for the great prizes! Love today’s project and I’ve always been a Fancy Pants fan, great work Megan! Thank you for another chance to win such fabulous prizes! Cute project. Great giveaways. Thanks for the chance to win. Happy Birthday SCT! Super awesome giveaways today!! 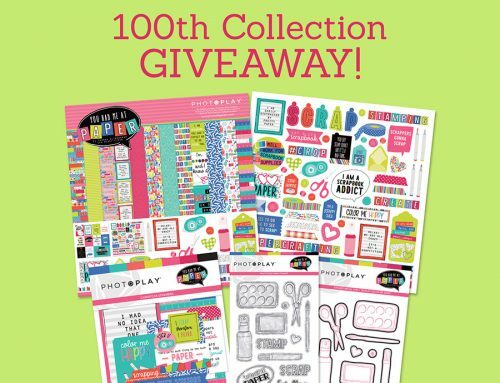 Fun party decorations and lots of great adhesive…another winning prize giveaway! Thanks so much for this !!! Thanks for the chance to win! I love the personalization of those placemats! Happy Birthday SCT. 🙂 Thank you for these giveaways and inspirations. I adore the idea of a special birthday placemat! Thanks to the sponsors for some great prizes! Great project! Thank you for the chance to win! Such fun ideas, thanks for the inspiration!! Such cute cards and I love today’s prizes! What a fun idea! Super sweet placemat and card. Love your projects Megan! Love Fancy Pants too! Awesome card ideas. Thank you and happy birthday! Great prizes once again !!! Happy Birthday ! Thanks for the chance to win great prizes from two great companies! The personalized placemats may just be the next project my grandkids do for their moms! Happy Birthday SCT! Love this idea. Thanks for the chance to win! Suh-weet! Hey Megan!! What a fabulous idea, making the birthday feel even more special with this fun, precious mealtime setting. I love it so much. And I super duper love that Scrapbook Adhesives by 3L and Fancy Pants Design are sponsoring today. I love my SAB3L adhesives and FPD papers!! I like the place mat idea. And who doesn’t always need more adhesive?! ? Took me several days to figure out birthday theme projects! Ha. Thnx for all the ideas. Congratulations! Thanks for the chance to win so many awesome prizes! You guys always celebrate with the most fantastic ideas and prizes. Happy 11th birthday to you all at SCT Magazine. These prizes are awesome. Thanks for another giveaway…and thanks to your sponsors!! Lovely projects to see! Thanks for the chance to win! I especially love Fancy Pants! Happy birthday SCT! Love everything I’ve been seeing. Happy birthday! Loving all the giveaways, thank you! super cute stuff! Happy Birthday! What a great idea, I am definitely stealing the birthday placemat. What a great birthday idea to help someone feel special on their special day! Happy Birthday SCT! cute idea. Good grandchild day idea. I am “stuck” on the cute paper. Happy birthday, indeed! Well done, SCT! Loving these giveaways. These are top quality products. Happy Birthday! Happy Birthday ! Would love to win ! Great colors! Adhesive is always awesome! Day 6! Another great day of inspiration and fun giveaways. The placemat idea is adorable! I think I will be doing that for my niece’s birthday. I know she will love it since it’s anything crafty! Thanks for the awesome idea! This fancy pants collection is darling! Celebrate good times come on!!!!!!! Thanks so much! For the opportunity! I am absolutely in love with your personalized placemat idea! Thanks for sharing. And thanks for another great day of giveaways! Congrats to SCT for 11 years and thanks to Scrapbook Adhesives by 3L and Fancy Pants! I’m in need of adhesive and the colecction is so cute! Happy Birthday! Love this Fancy Pants Collection and love the creativity! Thank you for the great giveaways! Megan, what a fantastic idea about the placemats. Love, love, this idea. Ooh, who doesn’t love a loot bag? Always a surprise to see what is inside. What great sponsors for your birthday party! Love these colors on the paper. So pretty!! Great giveaway…again! Happy Birthday SCT – always bringing us the best! What a sweet idea – a decorated tray liner! Bet it made the whole day special. Two amazing giveaways – can never have too much adhesive haha! I love it all!!! Congrats on your birthday! What a clever project! Love that Fancy Pants line! Congrats on 11 years! So Fancy pants! Very cool giveaway, thanks. Love your magazine!! Happy 11th! Have an awesome birthday celebration! Such great giveaways! Thank you so much for the celebration fun and the chance to win. love, love, love!!! love using my adhesives even when my kids use to keep their projects together!! Love that place mat! Scrapbook adhesive is my favourite to use. They are the only pop squares(?) that I use in my scrapbooking. Can never have too much adhesive – great prize!! Cute idea to laminate to make a placemat – will definitely try this idea! Great companies you are showcasing!!! Thanks for sharing! Love fancy pants and love this giveaway. thanks for the chance. I love fancy pants. Another awesome giveaway. Happy 11th Birthday! Great ideas! Love that special mat! And Scrapbook Adhesives & Fancy Pants – Wow! Fancy Pants has such gorgeous paper and you can never have enough scrapbook adhesive. Great birthday ideas! Happy Birthday. Great birthday ideas. I discovered this adhesive brand at the Scrapbook Expo and I love it. What a neat idea to adopt for a special kid! Thanks for all that you inspire us to do! Thanks for sharing! Love the products! Congratulations on 11 amazing years. Thank you to you and your sponsors for this celebration. Such a beautiful idea. So easy, but hardly ever thought of. Thanks for the lovely reminder about cutting your paper up and using it. Cute idea to make a laminated placemat. Happy Birthday SCT! You’ve aligned with the greatest companies…love both of these! Such a great idea for the placemats and more awesome prizes! Can always use more adhesives, thanks for the chance to win. I’d like to have a nickel for every time I ooh’d and awe’d over thing I’ve seen in your magazine! Great idea! Happy birthday SCT! I probably spend most of my crafting time making birthday cards. Thanks for the inspiration. What a Great celebration. Happy 11th Birthday. Thanks for so much fun. Another day of great ideas with great prizes! Thank you! Thanks again for More prizes and more inspiration. I am thoroughly enjoying the journey through the celebration days and my enthusiasm for crafting is moving higher and higher each day. Happy 11th Birthday!! Love you guys. I love the large tape runner. So easy to hold and refill. Happy Birthday SCT! Thanks to all the wonderful companies donating these great prizes – this pack is fantastic! Love the placemat idea for that birthday person. Can never have enough adhesive or mini albums! Fabulous prizes! Thanks for the chance to win! Great ideas for mini albums. Love this! Thanks for sharing so much on the blog!! So fun to see the prizes for each day…thanks again for this sweet birthday celebration for your readers/fans! Ooooh! I love Fancy Pants! Happy 11th Birthday. Thanks you for all the great prizes and great work your staff has done over the last 11years. Great way to use up bits and pieces of paper! Can’t scrapbook without adhesive! Happy 11th birthday! I just love Cathy! And I’d love all these awesome products too!! More great ideas! Kids would love decorating the envelopes too! Great projects and thanks for the chance to win some amazing prizes ! I like getting the kids into crafting. They are the future of crafts. Nice job. Cute project. Thanks for sharing the birthday love! So awesome! Thanks for the opportunity to win! Love the placemat idea–and more giveaways–incredible! I would love to try out a new tape runner! Thanks for the chance to win! So fun! I would love to work with these fun papers. Thank you for the big chance and happy birthday! What a cute birthday ensemble!! Thanks for sharing your birthday celebration with us giving us the opportunity to win such great prizes! Soooo adorable!!! And thanks for the chance at some great prizes! Happy birthday SCT! The party continues! I love the placemat idea! The Fancy Pants collection is adorable! I am already a winner with all the inspiration and instruction just in the last couple days! I found even more great ideas on the sponsors blogs and Facebook pages. Thank you all. Happy Birthday! Thanks for the chance to win. wow! Adhesives and an Insta Album! Yes please!!!!! Great projects and terrific giveaways! Love these products. Wishing everyone at SCT a Happy 11th Birthday with continued success. Everyone can use adhesive that is for sure. Thanks for a chance on a great prize pack. Fancy Pants paper is lovely. Thanks for the chance to win. haPPy HAppY BIrthDaY SCT ! thanks so much for this fun crating project ! I love the papers used on the projects. I would love to win the great giveaway. Place mats are for any age. The perfect way to brighten a meal. What a great idea. Love Fancy Pants, and that insta album !!! Love the placemat and awesome giveaways. Happy birthday and thank you to all the sponsors of these wonderful prizes. Great us of the paper! The projects are beautiful – and the placemat / tray liner is a very clever idea! You can never have too much adhesive, paper or embellishments! Happy 11th birthday SCT! Thanks for sharing some wonderful project ideas! Can’t create without sticky stuff! Birthday placemat, who’d of thought! Great giveaways! FancyPants is one of my favorite scrapbooking companies. And who doesn’t need good adhesives! Thanks for the chance. Birthdays are my fav to scrap! Thanks for the chances! What a cute way to add paper strips. Thank you for the chance. Happy 11th Birthday. Thanks for sharing some goodies..
Great card idea and fab prizes too. Have a great 11th year! What a great idea to help celebrate a birthday! Thanks for the tip! Fantastic prizes all around – and what a fun idea! Neat idea to make a place-mat! Omg … love the placemat and card and great instructions – thank you. Happy 11th Birthday. This is all of fun. Can’t wait to see what the next day brings. Thanks for sharing some creativity and some great giveaways! Happy birthday SCT! Very cute. Thank you for sharing. “It’s all fun and games til the adhesive runs out!” Bring on the adhesive! A prize everyone can use. Great idea I never thought of before. Must try. Great idea! Love these products would be happy to win. Happy Birthday SCT & many more. I love the placemat idea for a special birthday breakfast. Super cute! Thank you SCT and all sponsors! Amazing prizes. Happy happy birthday! I just got a laminator for Valentine’s Day! I love this idea of making special placemats for the birthday person! This is a wonderful idea to make the day even more special. Thank you Scrapbook adhesives and Fancy Pants for a chance to win! I love your Magazine! This prize is INCREDIBLE! Thank you so much for the opportunity to win, and good luck to everyone! Great adhesive, I use it mostly and the Fancy Pants is terrific. Great 11th Birthday prizes and fun here today. The birthday placement idea is a fabulous one – thanks for the inspiration, Megan! And thanks to Scrapbook Adhesives by 3L and Fancy Pants for furnishing today’s prizes that I’m swooning over! This is such a fun project and a great giveaway! Loving everything. Your sponsors are THE best! How such great party ideas. Super cute project! I’ll have to remember this one for an upcoming birthday! Love the Fancy Pants papers! Cute placemat idea! Love the prizes! Both go to companies in my scrapbooking! Great giveaway! Happy 11th Birthday! Would love to win any prize!! Wow fabulous giveaway, absolutely love that card so cute.. Thanks for the chance and the ideas. More great ideas. Love it! Woohoo! What a celebration. Thanks. Such great giveaways. Could really use some adhesive and love the cheerful colours of the birthday paper. I was just saying this morning that I have NO adhesive left! How perfect! More great birthday gifts that you are sharing! Thank you. Happy birthday! So much fun. Congratulations on 11 fun-filled years! The place mat technique is something I can easily adapt to a 12×12 page – thanks! And thanks to 3L and Fancy Pants for great prizes! Fancy Pants + adhesive = ready to create. Bright and cheery product perfectly offsets the deary, rainy day! What an awesome idea! Definitely going to try. Such a fun project! Happy 11th birthday! Love the giveaway so fun. I refuse to use anything but their adhesives! I wont take the risk that my scrapbook may come apart with age. Thanks 3L for being my go-to. And SCT for bringing this all together! Don’t you just love birthday celebrations?!? Oh my how awesome is today’s giveaways. Thank you SCT and thanks to all the wonderful sponsors. Wonderful giveaways today. Great inspiration with the projects. Love these simple ideas! Happy 11years! Love your giveaways, as always! Happy 11 years! Fun idea Megan! I love Fancy Pants & this album kit looks so neat. I love EVERYTHING about this post today! Super prize package! Thanks to the sponsors for this amazing prize ? Great giveaways for a gtreat birthday! Super cute! Might have to do this for our next birthday in the house! What a fun idea! Thank you for the chance to win! Can always use more adhesives – especially this brand! And LOVE to create albums! Both companies have amazing products! Thanks for sharing! What a great idea for a birthday! Love all the projects you are sharing on this B-Day celebration. And thank you to the fabulous sponsors and their gifts. We are very fortunate to have this opportunity to win lovely prizes, day after day. Another great day!Can always use more adhesives! Can never have too much adhesive. Great ideas. Thank you for sharing. Glad I came across this awesome magazine. Adorable and an awesome prize. Megan…What a fun way to celebrate a birthday…easily adapted to a boy theme for sure!!! That’s what I have boys…or I should say men now…but I am still scrapping away on all the pictures I have taken through the years…Sooo I still need lots of adhesive from Scrapbook Adhesive by 3L and Paper from FANCY PANTS! I am sooo happy they are still around!!!! Thank you for the chance to win some FABULOUS PRODUCT!!!! LOOOOVE that card- the taller piece makes it really pop! And I would love to win some adhesive!!! You can never have too much of that stuff:) THANKS for the chance to win! Happy Day#6 of your 11th Birthday Celebration! Great giveaways Again!!!! Wow – I would be happy to win any of them. Thanks to all the sponsors and of course to SCT. Awww! What a sweet project! Congrats on your 11th anniversary! The prizes keep getting better! Thanks! Great ideas – thanks for the chance to win!! Cute Card! Thank you for the chance to win a great prize! More fabulous products from your partners helping celebrate your 11th Birthday! Thank you! wow! what a prize package by these companies! Thanks. Love that you made this tutorial with some “hand crafting” to really make it more personal! A great post to celebrate a great magazine’s 11th birthday! Never would have thought to laminate the card. Happy 11th, thanks for the chance to win such great prizes! I LOVE this idea of a personalised mat!!! Awesome! Another day of great giveaways!! Happy 11th SCT!! So very cute – thanks! Yes! This is an awesome prize, you can never have enough adhesive! Very creative idea!Lovely project!Thank you all for the prizes and happy 11th birthday SCT! Happy 11th Birthday. Love the spring pastel paper from Fancy Pants. What another great post. Thanks!! No one can ever have enough adhesive and Scrapbook Adhesives make the best!! Love, love anything Fancy Pants! Thanks for the great prizes! Super cute project! Thanks for the chance to win. Awww…I’m sitting here with a baby Maggie on my lap, so it was cute to see the card with her name! Love this giveaway…you can never have too many adhesives! Happy Birthday SCT! Best wishes for many more inspirational years to come! And thank you for the chance to win some wonderful prizes. What a great and easy idea for customizing a party! Thanks for sharing! SO nice of Scrapbook Adhesives and Fancy Pants to join in the anniversary celebration! Great collection of goodies! Thanx for the inspiration and blog candy opp! Congrats on your 11th birthday and Thanks for sharing all the magic with us. I have two little girls who love personalized placemats like these! Thanks for all the great ideas and awesome prizes. Love, love, love the products. Once again, happy birthday! Can’t craft without these amazing products!! Thanks for the chance to win! What a cute birthday idea to help make it special. Thank you for a great idea. Love today’s giveaways. Had a chance to take this class with Jody at Crop and Create Toronto and loved it. Bought extras of the collection so I could use it in other layouts. The placemats and cards would be a fun craft to do with the kids at the party! Thank you for the daily dose of inspiration and thank you to your fabulous sponsors for sharing these wonderful goodies with us. Happy Birthday to the SCT Team!!! Love that you’re sharing the chance to win these amazing prizes! Thanks so much for visiting us in Moncton! Happy Birthday!! What great prizes. Something everyone needs. Happy Birthday & what a great great giveaway!! once again great giveaways…happy 11th…love the products! great giveaways, what a special way to honor the birthday boy or girl. Thank you. Awesome and Happy 11 Birthday to both..Wonderful products and fun giveaways..Thank you for this chance too..
What a fun way to make your own alphabet letters! I love this idea and hope to use it on my projects soon! Thank you! What fun ideas to create special memories for a birthday!! So excited!! Cute placemat project! Loving all the giveaways! These are great projects!! Love the mini! Your brand of adhesive is my favorite. Hope to win. Great idea for the placemat. Happy 11th SCT. What great products! I’ve been using them for years and love them!